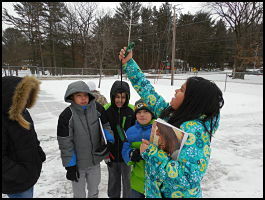 Digging Deeper with Data (DDD) was a semester long project that allowed students to collect data on wind speed, air temperature, and surface temperatures of different objects in order to answer essential questions about our natural world. Addressing STEM initiatives and using common core standards in math, language arts, science, and reading, students participated in eight different lessons focused in climatology, microbiology, data analysis, and thermal inquiry. Students presented their findings to their peers bi-weekly which showcased their academic achievement, data processing and inquiry development skills. Partnering with Upham Woods to facilitate DDD was the “highlight of the year” for Mary Roberts, then a fourth grade teacher at Rusch Elementary School. This experience allowed her students to thrive through hands-on learning activities and think critically about the environment in a manner that promoted civic engagement amongst peers. 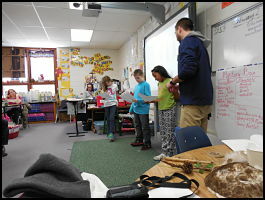 The culminating experience was a data summit hosted at Upham Woods attended by four different classes from Rusch and Lake Delton Elementary Schools. At this summit, they presented their final data and patterns to each other, allowing the students to compare weather patterns within the state while reflecting on how technology can help us understand the natural world. 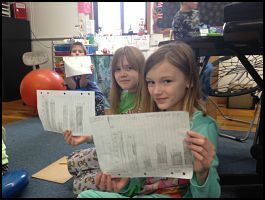 This program achieved multiple learning outcomes in addition to fulfilling several statements within the Next Generation Science Standards, such as: “I can use research to learn more about a topic and present it to others,” “I can create weather tables and graphs,” and “I can present information on different climates.” There are several considerations that made DDD a separate entity from DOTS, yet just as effective. 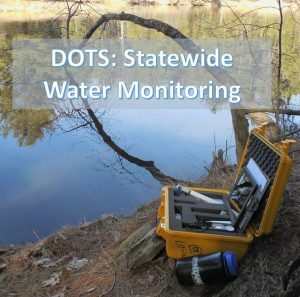 DDD did not use the full DOTS kit, but utilized a subset of tools that would accomplish the study objectives of the students. 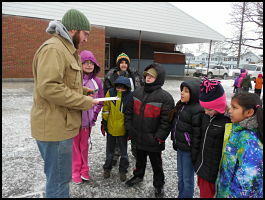 In addition to the visits made by Research Naturalists, the classes continued to run their own programming by taking daily weather measurements and conducting weekly journaling of weather patterns. DDD also provided an example of affordable deployment of technology tools—the total cost of the entire kit was a mere $150. The study was longitudinal in design, focusing on data collection from set locations near their classroom over a period of time. DDD served as a test case for using the DOTS kits in a classroom setting for a longitudinal study. This experience proved that long-term lending of the kits to a classroom is feasible and a strong iteration of the DOTS program. For the 2016 – 2017 school year, two additional schools in Milwaukee – La Escuela Fratney and Maryland Ave. Montesorri School – are participating. DDD Student Data and Graphs! To view the student collected data from the any of the DDD particpants, click here! Participating schools include Rusch and Fratney Elementary, and Maryland Montessori! Check out an example lesson used with the DDD program here! This lesson is used to introduce the concepts of climate and weather. I was honored to be part of the DOTS program with Upham Woods during the second semester, 2014-2015 school year. My teaching benefited by experiencing how common core standards can be embedded in a project such as this and taught to all students. I also was able to reference to each lesson the Upham Woods instructors taught in my class throughout the month. “All students were engaged and focused with their learning when the Upham Woods instructors taught the DOTS lesson in our classroom. 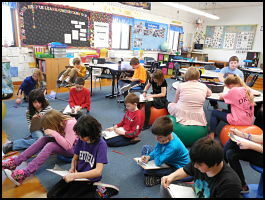 I observed students shine during the DOTS program instruction who do not typically shine during core subject instruction.